Three large rooms all with windows providing east facing views to the inner courtyard garden and west facing views to the rear lawned garden. The living/kitchen incorporates a sitting and dining area heated by a gas fired log effect stove set within a brick recess. 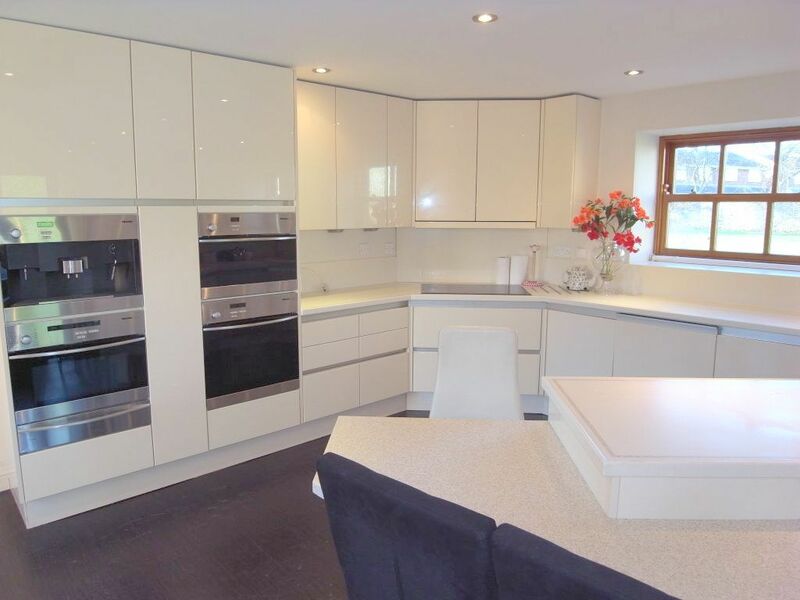 The kitchen, which benefits from underfloor electric heating, is fitted with a contemporary range of cream coloured high gloss units with moulded work surfaces and a Blanco resin 1.5 bowl sink unit with mixer tap. An extensive range of integrated appliances to include Miele steam oven, microwave oven, electric oven and coffee making machine, induction hob and dishwasher, fridge and freezer, ceiling down lights. The sitting room incorporates a staircase which leads to the first floor gallery landing. 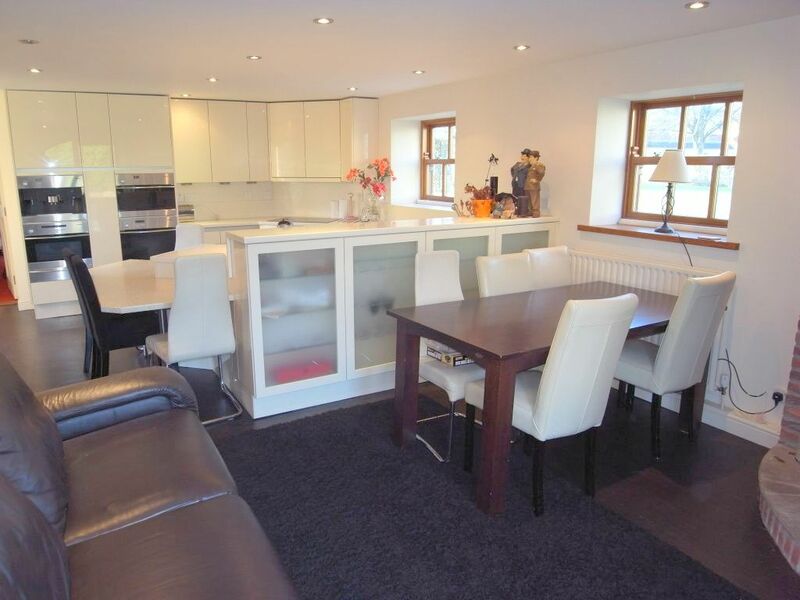 The sitting area is approximately 5m x 4.7m with ceiling down lights, a large fitted shelved cupboard with hanging rails and a Vaillant gas fired central heating boiler and pressurised hot water cylinder supplying central heating and domestic hot water throughout the property. 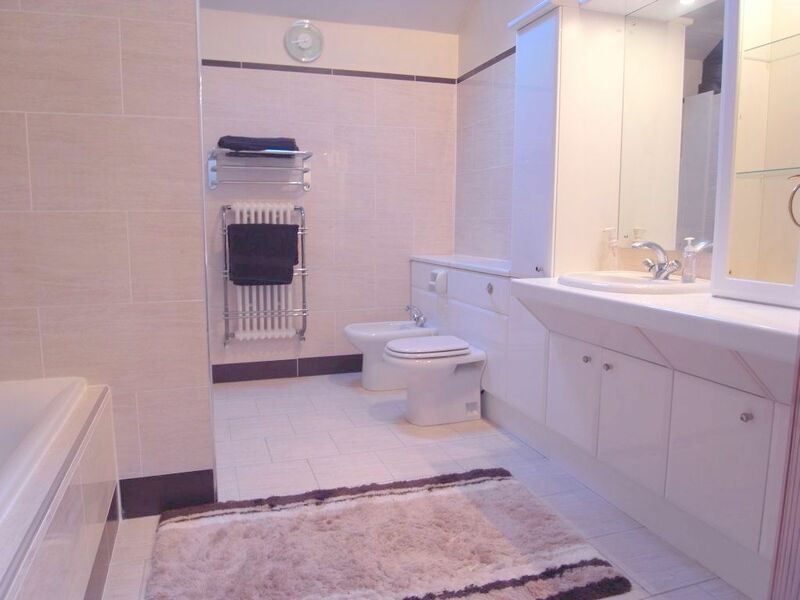 An inner lobby off the sitting room with stable door opening to the rear gardens with access to a built-in cupboard and ground floor bathroom comprising a white coloured suite with panelled bath, low flush WC and wash basin, tiled walls and heated towel rail. 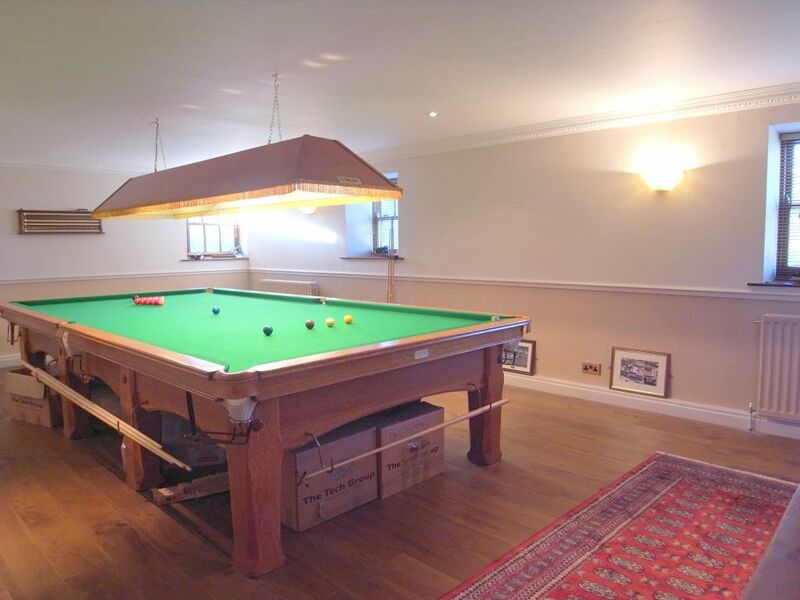 A large games room with exposed wooden floor and ceiling down lights could easily be sub-divided into two rooms if required. 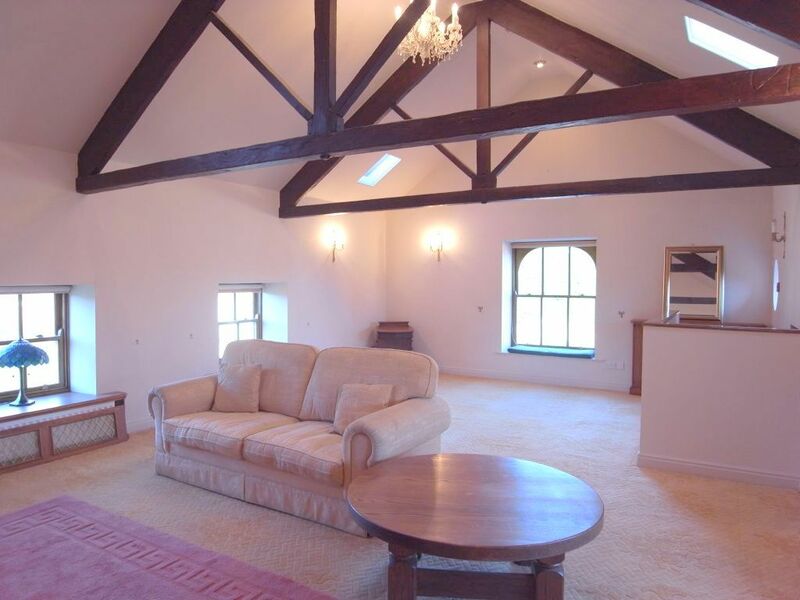 The first floor provides three excellent rooms with open ceilings with exposed timber roof trusses and a bathroom. One of the rooms is furnished as a living room, which could easily be changed into a large bedroom or sub-divided into two double bedrooms if required, and enjoys good natural light with windows to three elevations and additional roof lights. A wide recessed chimney breast incorporates a gas fired stove with two exposed timber roof trusses. The master bedroom is a double bedroom with access to a large walk-in dressing room fitted with wardrobes and two exposed timber roof trusses. 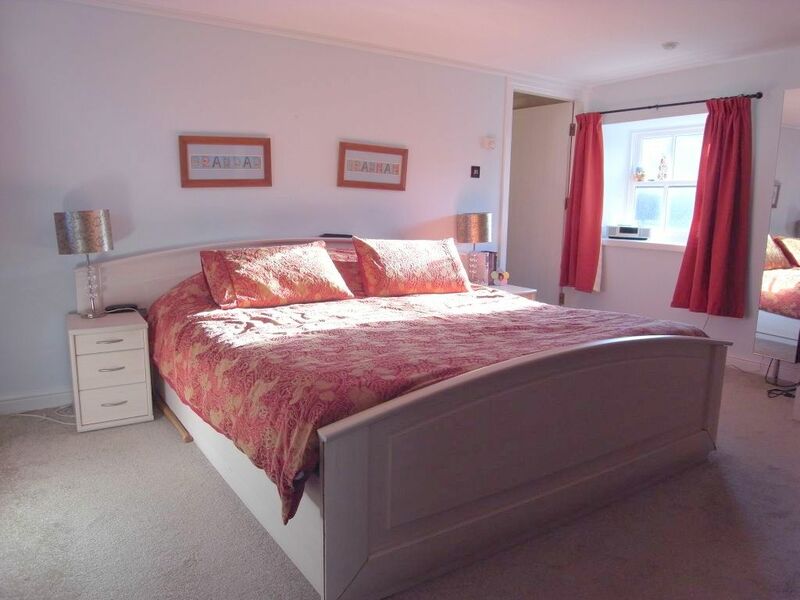 Bedroom two is a further double bedroom overlooking the rear gardens with fitted wardrobes, cupboards and drawers and exposed timber roof truss. A large and luxurious bathroom suite includes a double sized shower cubicle/steam room, separate bath with retractable shower head, twin wash basins in a vanity unit, bidet and low flush WC, ceramic tiled floor and walls, exposed timber roof truss. Linked to the main house by a covered passage/garage and overlooking the inner courtyard garden. 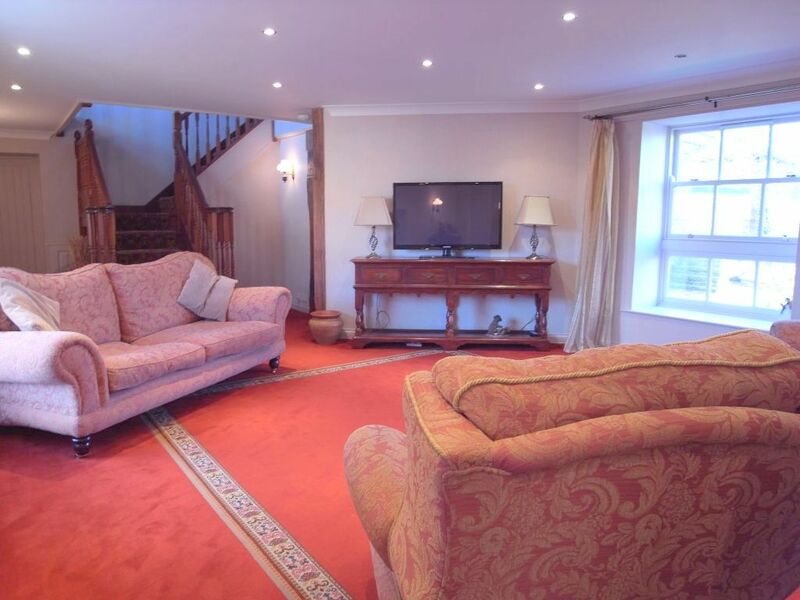 The accommodation includes two reception rooms, a kitchen and two double bedrooms. The living room includes a multi-fuel stove and double doors opening to the courtyard garden. The kitchen includes a range of Shaker style units with work surfaces and a double Belfast sink with mixer tap, ceiling down lights, integrated Britannia electric oven with ceramic hob unit and extractor hood, integrated fridge and freezer and space for dishwasher. The family room opens via double glazed French doors onto a timber decked area overlooking the courtyard garden. An inner hall provides access to the two bedrooms. The smaller of the double bedrooms benefits from an en-suite bathroom with panelled bath and wall mounted shower unit and twin wash basins. A separate WC is accessed of the hallway. 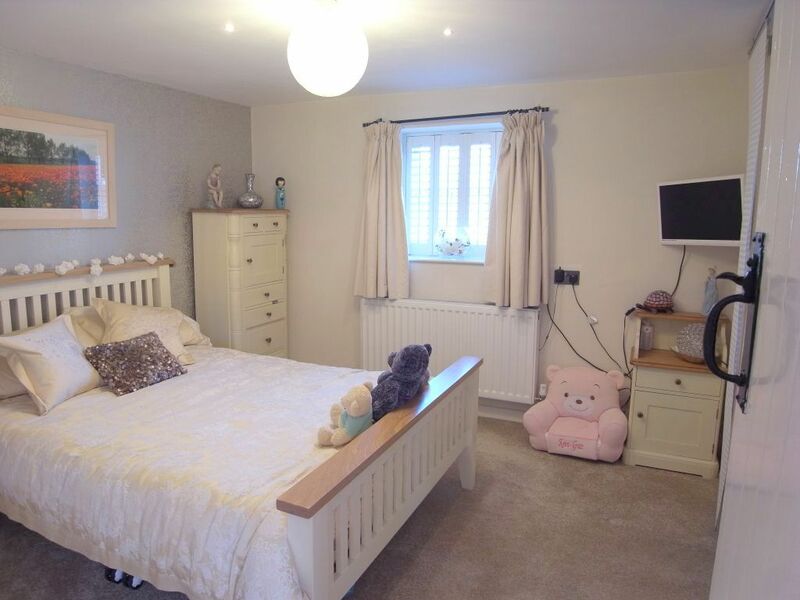 The larger bedroom has fitted wardrobes, windows to the front and rear, a staircase leading up to an open attic area, useful for storage. From the bedroom a door opens into a large walk-in dressing room with fitted wardrobes and access to an en-suite shower room with tiled floor, walk-in tiled shower area with overhead rose and handheld spray and low flush WC. 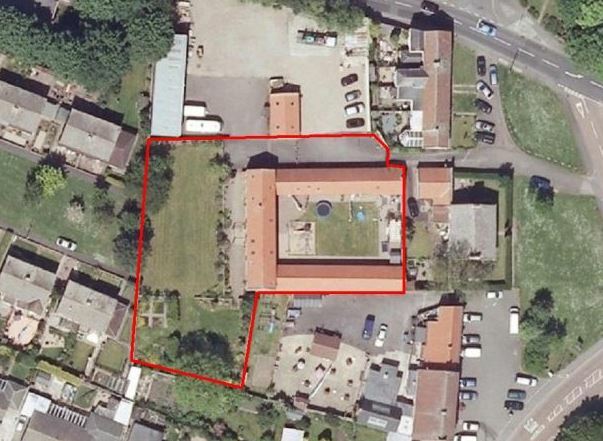 There is a separate utility area with plumbing and space for washing machine and a door providing access to the courtyard. A stone built traditional range of stables comprising six loose boxes. Large west facing lawned garden enclosed by a stone wall with access to a separate vegetable garden and paved patio adjoining the house. 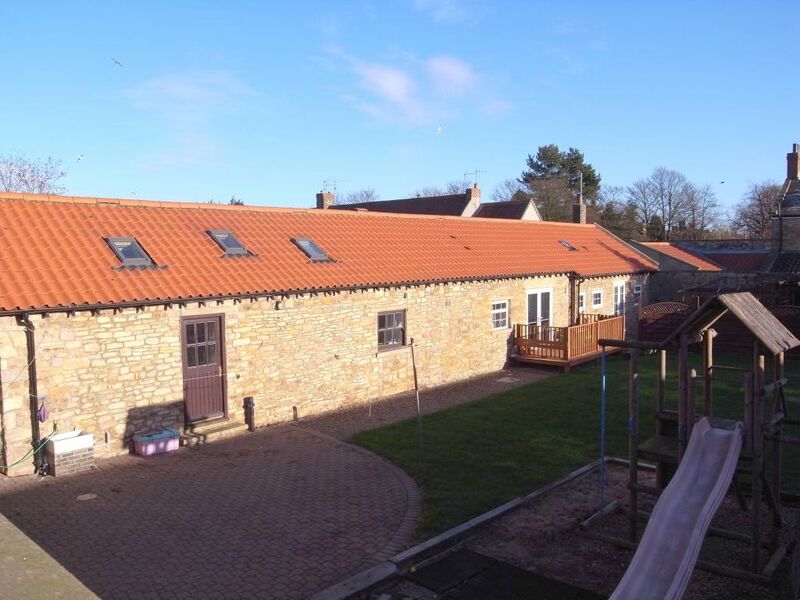 A completely enclosed lawned courtyard garden enjoys a pleasant south facing aspect with access to the stable block.